Chicago Surf LLC is the first and only surf park within Chicago’s Cook County, IL. 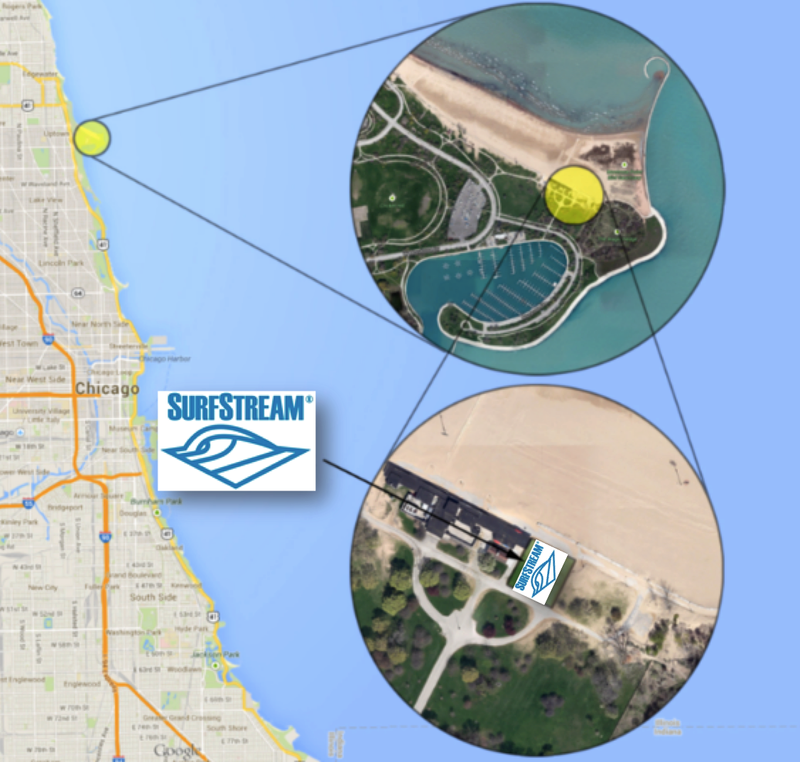 Chicago Surf has partnered with American Wave Machines to install their 16’ SurfStream® ocean-like surf machine at Montrose Beach (200 W. Montrose Harbor Drive, Chicago, IL 60640) set to open May 1st 2015. Chicago Surf will also include a beachside café and large patio seating, offering a front row seat to the surfing action while enjoying menu items such as fresh salads, wraps, sandwiches, fish tacos and more, complemented by seasonal craft beers and cocktails. A portion of the patio will be covered featuring flat-screen televisions allowing sports fans to cheer on their favorite teams – or catch major surfing competitions streaming live from Hawaii, Australia, New Zealand and California. 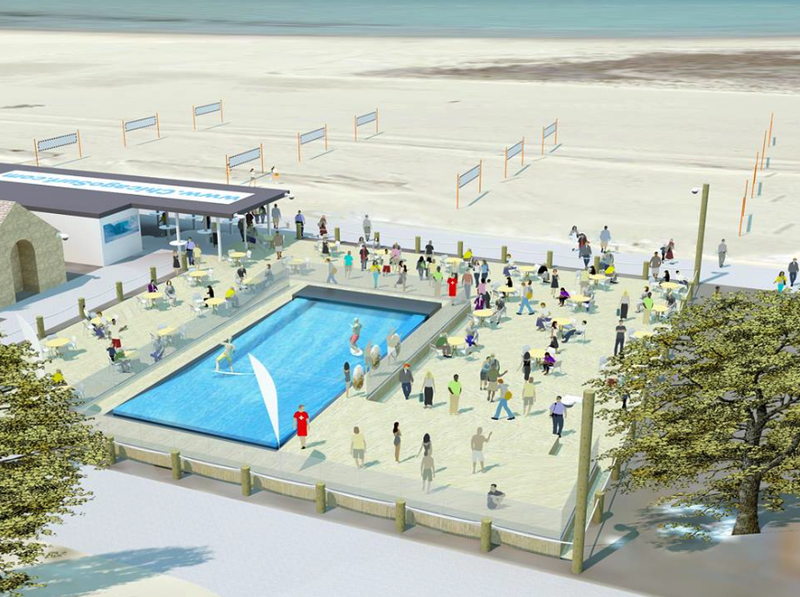 Chicago Surf will be the first dedicated surf park in Chicago, Illinois. Set to open May 1, 2015 at Montrose Beach along Lake Shore Drive. Created by Chicago native K.C. Hoos, Chicago Surf is the first and only concept of its kind in the city. Himself a surfer, Hoos wanted to offer surf enthusiasts and adventure seekers an out of the box way to enjoy the city and Chicago’s beautiful lakefront during the city’s precious warm weather season. Chicago Surf sessions will be priced at $20 per person for 30-minute and hour-long experiences available too. For those interested in being a part of bringing this exciting attraction to Chicago’s Lakefront, Hoos has also started a Kickstarter campaign. 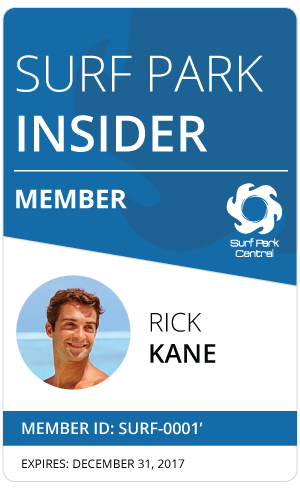 Those who contribute at varying levels will receive exclusive incentives such as and exclusive first surf at Chicago Surf, unlimited surfing and advanced booking for a special event. Contributions can be made by visiting the Chicago Surf website or the Chicago Surf Kickstarter page.